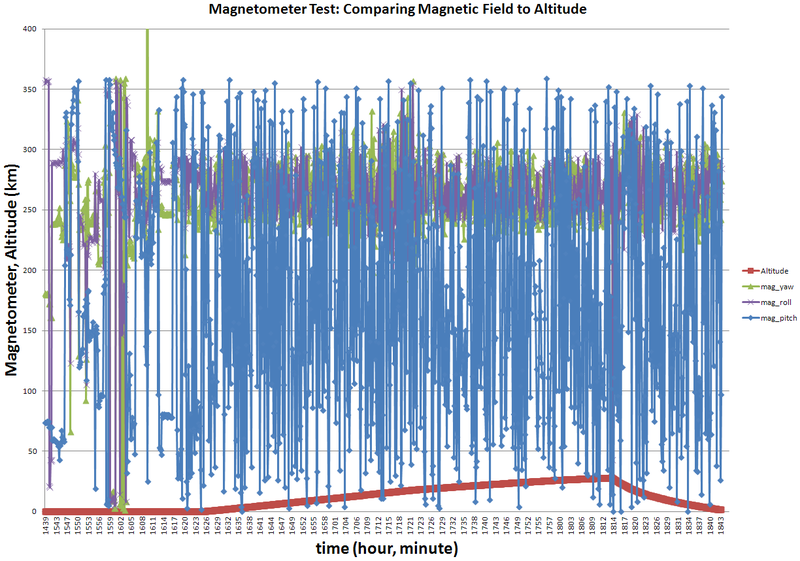 To do this experiment, I datalogged magnetometer data from the HMC5843 (triple-axis, digital magnetometer). It was part of the now obsolete Razor 9 Degrees of Freedom IMU, as shown in the below image. The magnetometer is a 3 DoF digital compass, and by doing fancy trig you can figure out generally which direction the balloon is pointing. If the magnetic field gets funky, in theory the magnetometer should be able to measure the disturbance in the [magnetic] force. a pun . . . But the issue with balloons is that they spin and get thrashed in every direction, causing the magnetometer readings to become a big jumble of random spinning data. I already knew this would happen. But I was wondering if I could find some significant trend in the magnetometer data when compared to altitude. 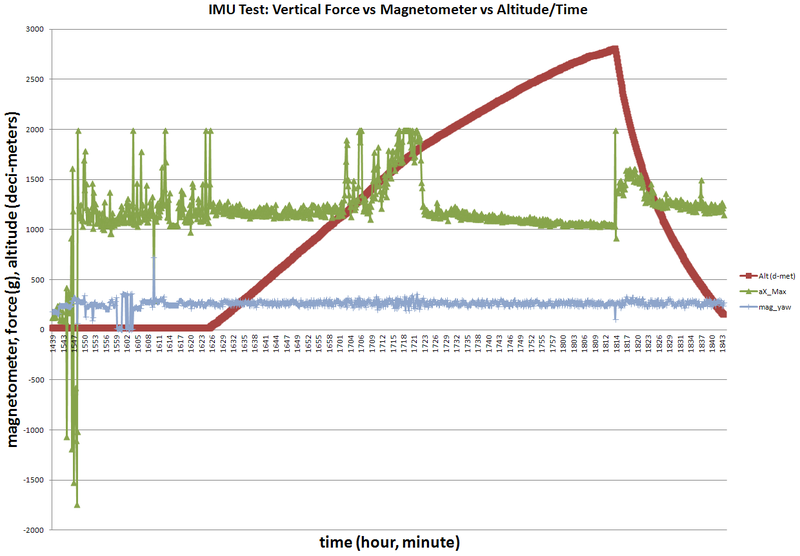 There isn't any simple, cheap, light-weight method of knowing the exact angle in flight so as to compare that to the magnetometer readings. So my hope was that graphing data would reveal something noticeable. When looking at the following data, keep in mind that the datalogger was programmed to save only the maximum value recorded within every data cycle. It is of course only the extremes that I'm interested in. Memory and bandwidth was limited so I couldn't save at extremely high rates. 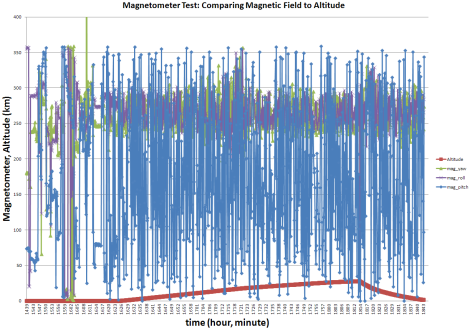 The altitudes in the following results were determined using the pressure sensor, which under-reported the altitude. 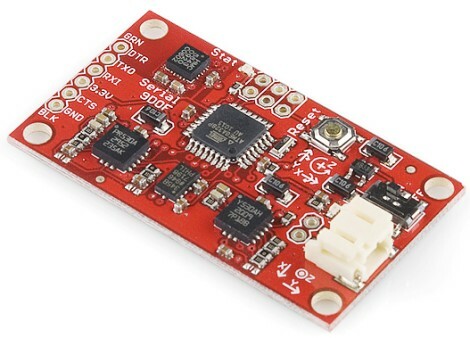 Please see the pressure sensor tutorial for more information. But when you look at just yaw and roll, you see something interesting (click to open below image). At first glance it does seem to be similar to the dual humidity spikes detected due to cloud cover. However, it occurs at a higher altitude than the clouds, so it's not related. 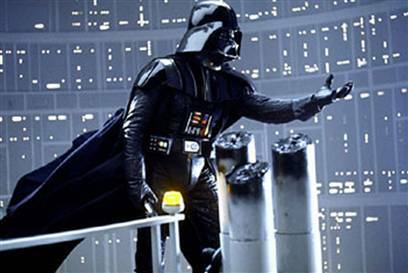 So what is this mysterious force that's being detected? When comparing it to the accelerometer data, it becomes much more obvious. As the package enters the jet stream it basically gets tossed about. 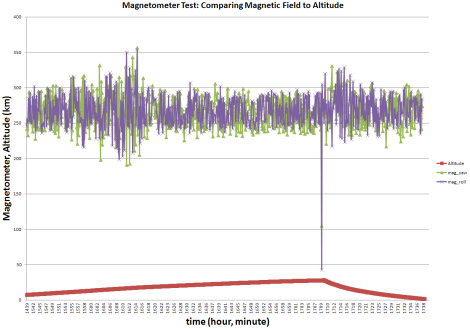 By comparing the magnetometer data to the accelerometer (below), it shows that the strange data was actually from the package swinging back and forth. So was anything strange picked up? No, at least not anything obvious. But maybe we just need to wait for a solar flare to hit or something . . . next time maybe! 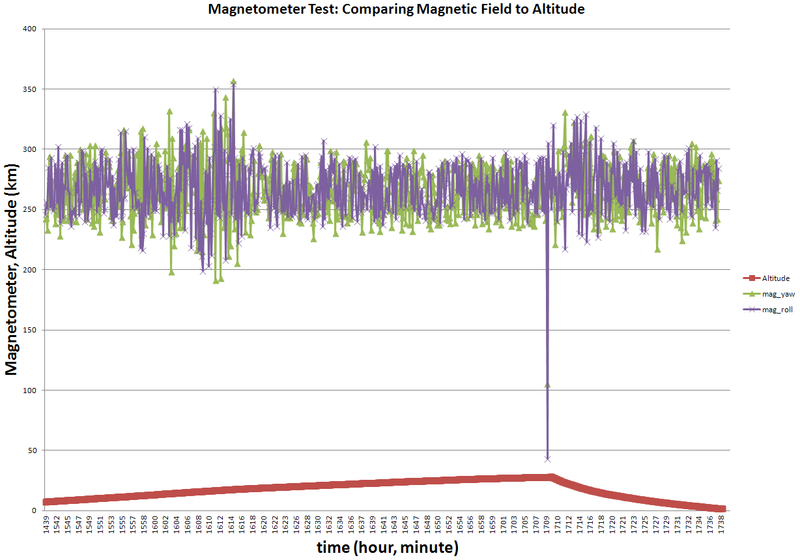 Although the magnetometer can be used to determine the orientation of the space package, it cannot detect measurable disturbances to the magnetic field.